It’s Greg Driver month! Greg joins us every week this month on DITB to get you ready for his own podcast, Ace Comicals, coming soon. First up we discuss the 1996 OVA series turned movie, Sonic The Hedgehog. 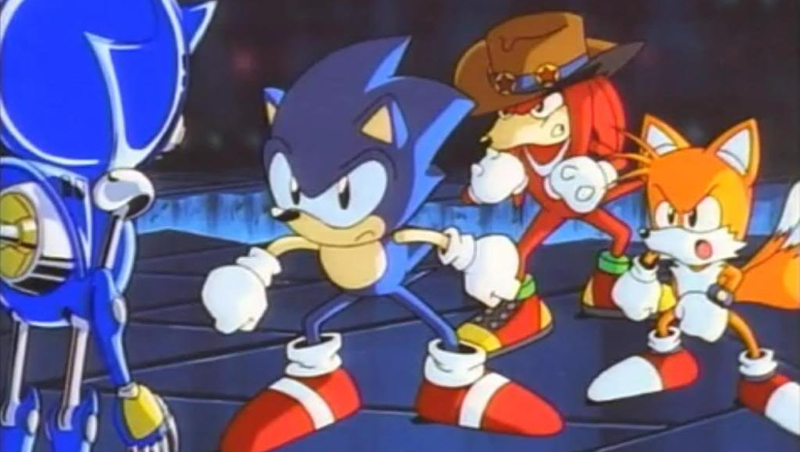 Based on the first three Sonic the Hedgehog games, in the sense that characters from those games appear in the movie, it presents a new Sonic continuity and setting for the first and last time. Plus: we get to grips with our histories with the hog, and play a quiz in which Greg and Anthony have to guess the species of various animal characters!